Full-time diagnostic radiology specialists present the results of high-quality image interpretation adapted to clinical settings. 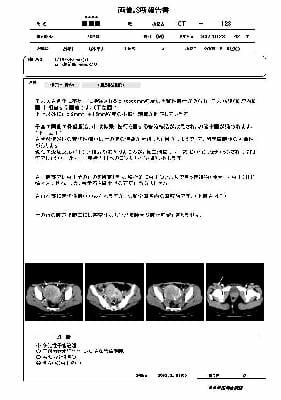 Diagnostic reports are created in a format with key images that allows for easy detection of lesions. 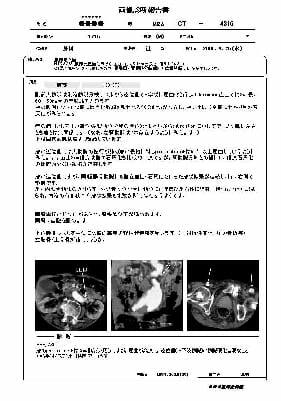 In the case of the same patient for whom medical image interpretation has previously been requested, a comparative diagnosis is made using the images that have already been saved. For difficult cases, a conference of several physicians is held. Inquiries about the diagnosis content and radiological inspection methods from physicians and radiologists are directly responded to by phone. 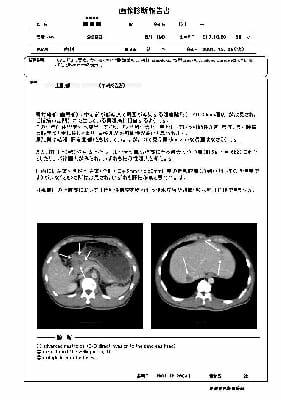 Requests for medical image interpretation and access to diagnostic reports are possible through simple operation. Browsing, saving (in PDF format), and printing are available from your computer. Various functions are available as optional functions, including backup of image data, image viewing, report creation at hospitals, introduction of radiological inspections, and distribution of diagnostic reports and image data to referral source medical institutions. This service is operated using “LOOKREC,” a cloud-based medical support service. Built on the Google Cloud Platform, LOOKREC secures high-level security, availability, and business continuity. No expensive initial costs are required. The main costs are the monthly basic fee for services and the fee for medical image interpretation for each case. Diagnostic reports will be distributed on a business day that is two days after your request for medical image interpretation (on the day following the date of request whenever possible). Emergency cases are responded to immediately. Contact may be made by phone call as well as by report, depending on the case. Image data comply with the DICOM specifications (in conformity with PDI). An environment with access to the Internet and high-speed lines such as optical fibers are recommended. A Gmail address is required (to ensure security using the authentication infrastructure of Google). A computer with Windows 7 or 8 is required, in which an application to upload image data is installed. The Google Chrome browser is used for operation and browsing.